This is a continuing series exploring the strategies of success of journalists and writers. Parts one and two in the series can be found here and here. Christopher Nolan is a film director with great power in Hollywood. He’s known for producing blockbuster movies – like his Dark Knight Batman trilogy – under budget and before deadline. Recently I read a brilliant profile of the British filmmaker written by Tom Shone; it’s an excellently reported piece. What makes the article special is its description of Nolan’s commitment to his craft, emphasizing his abilities of focus to art and craft. Cal Newport’s blog focuses on how people achieve success by continually bettering their skills. It’s a must-read blog for me. One of his mantras, culled from comedian Steve Martin’s memoir, is: “Be so good they can’t ignore you”. Newport emphasizes that to be not just good, but truly great, to rise to the top where the best get unduly rewarded, you have to focus not just on improving your skills – a given – but to concentrate your efforts on projects that will generate massive returns. Needless to say, this can be quite difficult. In a recent post he cited the example of a researcher, Eric Betzig, who won an unlikely Nobel prize. To get to that stage Betzig aimed high: a major scientific breakthrough. “When Eric Betzig”, Newport writes, “wanted to return to academia, he asked, ‘what would this take?’ The answer was daunting – a breakthrough too good to be ignored – but nonetheless he hustled to make it happen”. An ambition I harbour is to be a world-famous writer. In my mind it is a very clear aim. But within that stated goal lie a nest of snakes coiled with doubt. For example, shouldn’t I just concentrate on being a really good journalist or try to write a book rather than focusing on the vain aim of recognition? Yes, of course. And the path itself is a slippery, snaky slope. “When faced with an ambitious goal, most people defer instead to the question ‘what do I know how to do and how can I make it look better?’ We take what we can do, in other words, instead of facing the reality of what it would take to get to where we want to go”, writes Newport. In my previous posts exploring this subject, I outlined the three main paths that journalists have taken to success; and the need to take yourself out of your comfort zone. For Christopher Nolan, his philosophy is underpinned by what Tom Shone observes as “unshakeable confidence in his own abilities”. This is not arrogance (okay it might be a little bit, but it’s not unfounded, a crucial difference) but a necessary requirement for what Nolan wants to achieve: to be canonized, remembered – in a sense immortal. 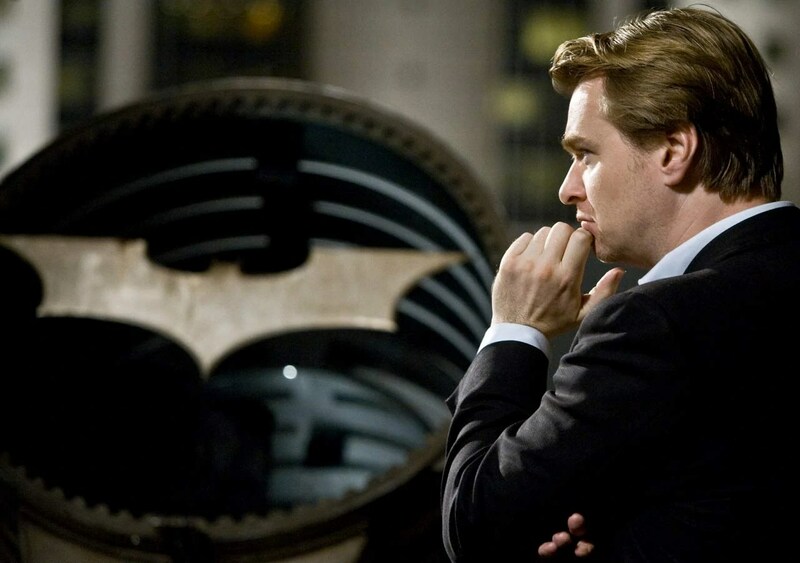 I’ve always believed that if you want to really try and make a great film, not a good film, but a great film, you have to take a lot of risks”, said Nolan. Taking a risk or being prepared to stake success on a project of your own initiative may bring out-sized results. But there is a caveat. A film is a huge undertaking and movies are cultural events. An article, even a well-written, longform piece, very rarely achieve such immediate effects. So what is a journalist to do? It seems there are two paths. The first is to work at it slowly but surely, making small, non-iterative increases in skill and reach. There is absolutely nothing wrong with this approach. As I’ve said previously such masters as Malcolm Gladwell and David Grann took long years refining their techniques before achieving superstar status; recognised by their peers and readers for incredible storytelling and awesome selection of subject matter. The other is to write a book that is published to acclaim and/or immediate publicity. Owen Jones is an example in this case, as is Peter Hessler, and to a lesser extent Tom Bissell. Another option is to write stories for journals like n+1 or Granta, in the hope that an agent might spot book potential in your story. Another is to start a blog/project/website that may generate excitement and a large following. One thing I’ve observed is that if you have a circle of peers or high level fans – people who will champion your work to others – then success will be that much easier. If you spot a niche that is nascent and resonant, that’s another groove to ride: Humans of New York, for example, had this potential. Developing an expertise in one area to such an extent that you’re seen as a safe bet or an original thinker is one other (incredibly hard) route to take. One problem I have is that I’m not sure I have a niche. It’s fun to have a wide set of interests and passions, to be able to write on a variety of subjects. But in the initial stages of trying to gain recognition, it doesn’t really work to your advantage. It really does pay to be known for something – a specialty. Whether it’s for a particular topic, like specialising in Chinese youth culture for example, or in the methods and angles you take – investigative take-downs in the financial world, or looking to nature as a means to escape, to name but two examples. To this end, I will work harder in an area in which I have a massive interest and try to become known for writing in this field, and will also at some point take a big risk and do something attention-grabbing. It may sound artificial but I do think creators, if they are ambitious, think in this way: continually striving to make a name for themselves or at least always trying their utmost to be better. Whatever the project or route you decide on, it will be very hard. And will require a colossal amount of effort, resolve and work. But that’s the challenge. To be so good they can’t ignore you is never an easy path. But that’s the whole point. Books when conceived seem brilliant, but then the writing part begins. I think we’ve all known a person (or five) who say they want to do books, but seldom even begin. The 3DayNovel Contest (https://en.wikipedia.org/wiki/Three-Day_Novel_Contest) hammered home the point that doing a book is hard, by forcing me to write one in 72 hours. Somehow experiencing the pain of writing in such a short, intense space of time was more poignant and beneficial than poring through dozens of articles that theorize and talk about the hows of writing. Even if the result isn’t too hot, mere completion is a badge of honour, as is a solid effort. This post seems to speak of persistence, and a systemic approach to that. Most authors aren’t the best writers who graced the planet: they keep trying till they win fame. I’m pretty certain journalism is the same, but with an even higher dropout rate than fiction due to a decent level of persistence being essential. My personal freelance exp is encapsulated in five ideas in a day with two to incoherence thanks to lacking a notepad, then a drought of ennui or busyness occupying days after. A slow burning book project is, as I said here awhile back, a great thing to have as something to do when freelancing is slow. Thanks Gordon for your considered response. Always like to hear what you have to say. I agree the ability to put words down on paper is essential. Fiction and novel writing interest me greatly, but I think nonfiction is what I’ll probably write first, and of course, finding the right ideas, carrying out the research and doing the legwork is required. Persistence is essential I agree, but I do think it’s good to have a discussion about in which area you should focus that persistence. For instance, I always thought the journalism degree I did, the faculty always seemed to emphasize how to make people employable (gaining multimedia skills, learning SEO etc), but did not really exhort the great fundamentals of excellent writing, inspired reporting and how to find great stories. It was as if they merely wanted us to get a job writing copy for a local trade magazine rather than instilling aspirations to be the next Bob Woodward or George Orwell.